This is going to be my last post for a while. 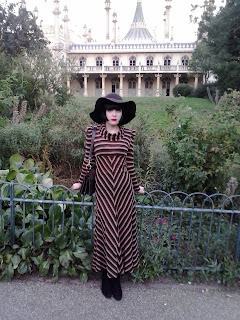 During next few months, I will be far too busy to regularly update this blog. I can't really tell how long this hiatus is going to be, but hopefully I will be back before the end of this year. 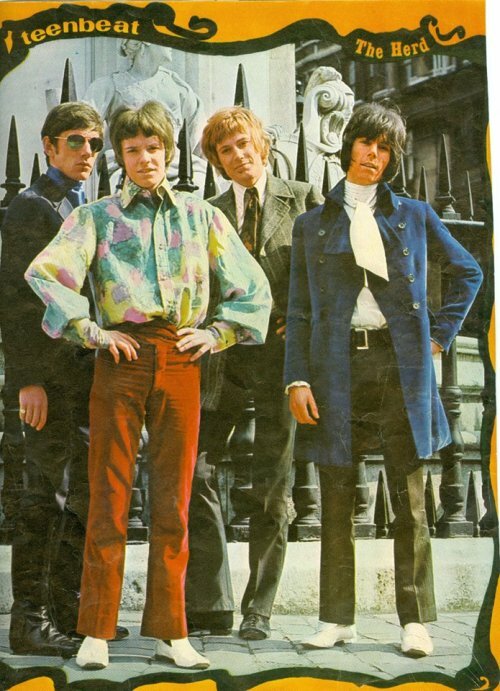 Before I go, I want to share some great 1960's British Psych tunes I have been enjoying lately..
Standout track from Elmer Gantry's Velvet Opera's sole album released in 1968. Nice melody, and those distorted vocals sound really good..
Hat and Tie were a duo consisting of Christopher Thomas and Patrick Campbell-Lyons (also a one-time member of July and Nirvana). 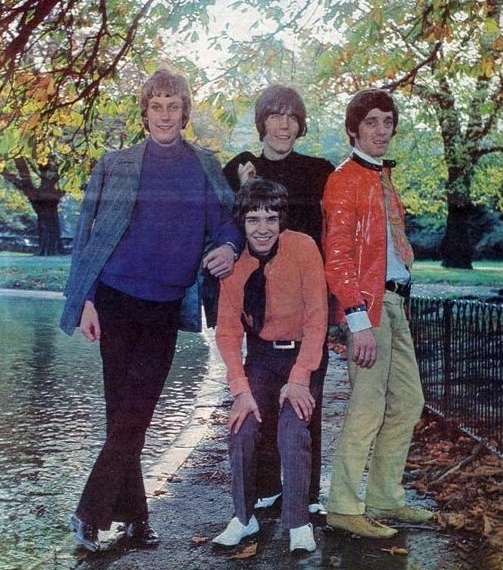 'Finding It Rough' was their second single, released in April 1967. 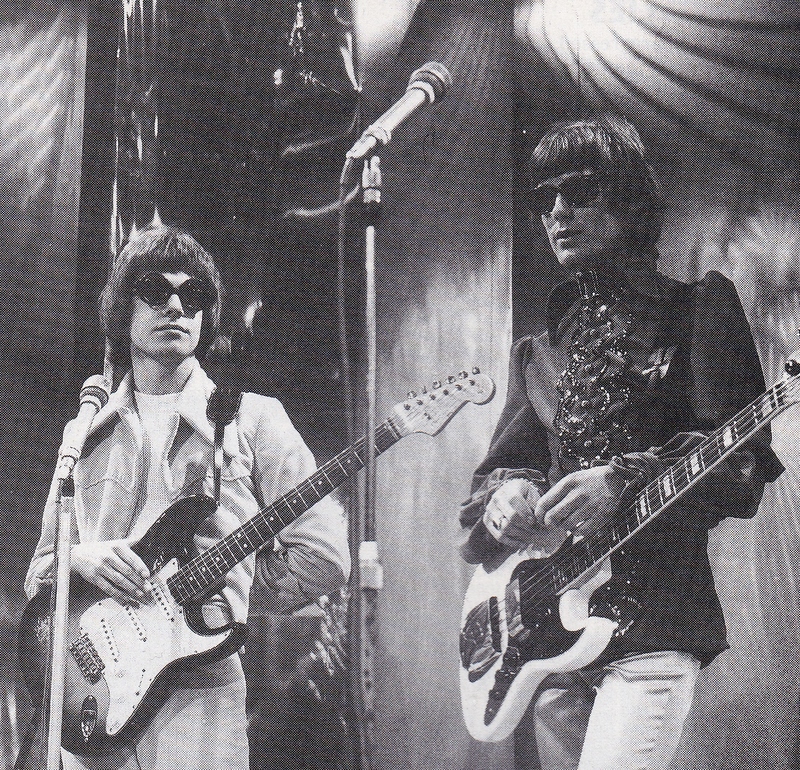 Despite being incredibly catchy,this sitar-led piece of psych-pop did not chart, and Hat And Tie disbanded soon after. I've heard this song at the Mousetrap last week, and I have been listening to it on repeat since. There is precious little information about Geranium Pond. According to British Music Archive, this group originated from London, and 'Dogs In Baskets' was their only release. There is also some evidence, that the Geranium Pond shared the bill with the likes of The Nice and The Move. 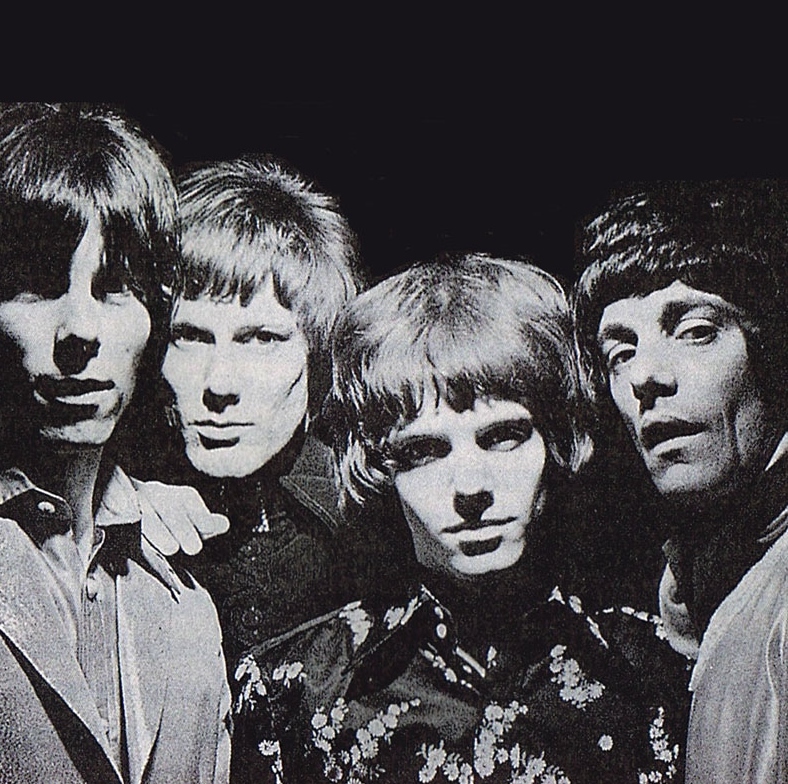 'Dogs In Baskets' is a mellotron and harpsichord-led ,whimsical lullaby in a style of Syd Barrett. Listen to it here. Yep, no prize for guessing what this song is about... Surprisingly, there is no mention of this song ever being banned by the BBC. 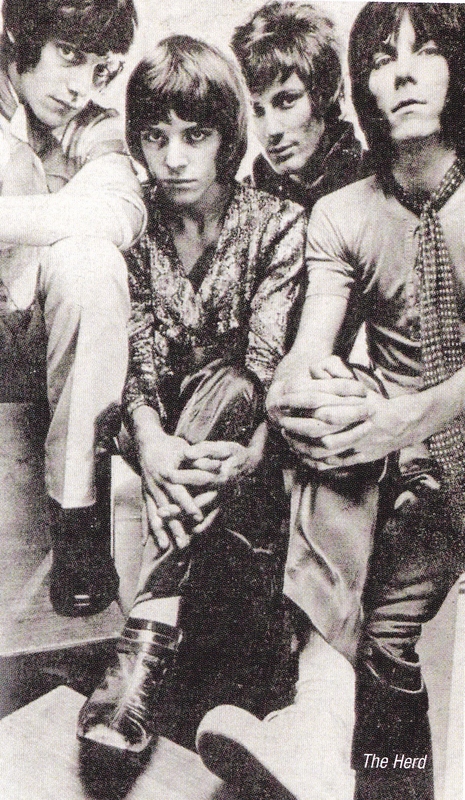 But then again, it was only a B-side. Now I finally have an excuse to post this great photo of Tintern Abbey. 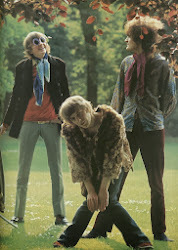 Psychedelic/Peacock style at its finest. 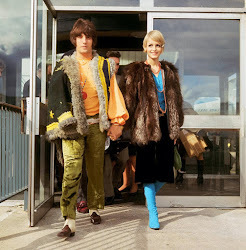 I absolutely love that jacket on the left. Not much is known about The Quik. They released three singles on Deram in 1967. 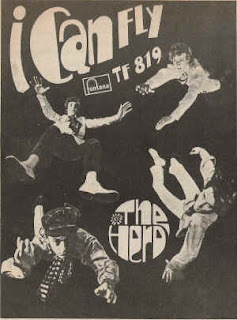 'I Can't Sleep' was the final one - It is a fantastic piece of dark, Hammond-led psychedelia.. 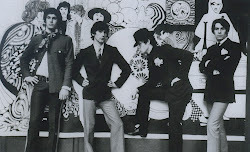 The Fox were a short-lived band from Brighton. They released an album For Fox Sake (see what they did there?) 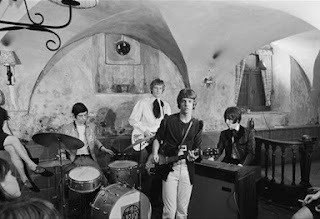 on Fontana in 1968, which disappeared without a trace, and the band split up soon after. 'Hey! Mr. Carpenter' has been popping up on various psych compilations (including Bam Caruso's Rubble) since 1980's, and since then it's been universally acclaimed by Psych fans as one of the British Psychedelia's finest moments. I'll end with this lesser known track by The Kinks from their 1966 album Face To Face. It is a grim, cautionary tale about a young girl from provincial town and her misadventures in London. Healthy dose of reality after all this psychedelic stuff.. So, That's about it for now. See you again in about 2 or 3 months!!! 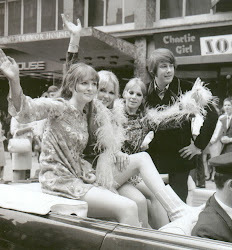 New Untouchables Brighton Mod Weekender is traditionally a high point of my summer. 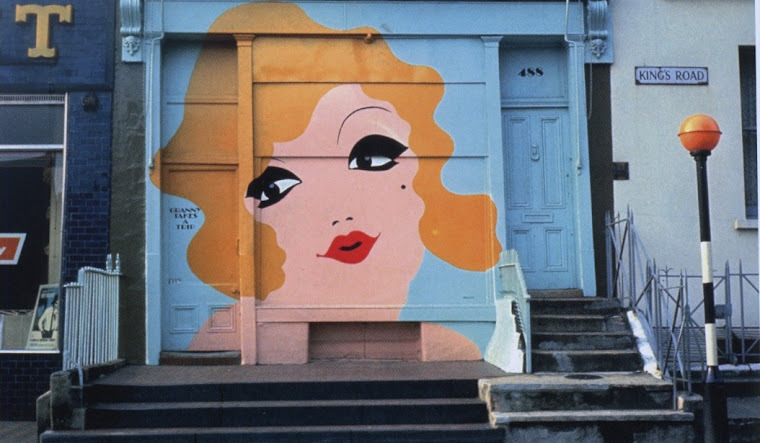 Especially since Brighton's own (once great) Mod/Psych scene went from being rubbish to being virtually non-existent in the last 2-3 years. This will be my last ever summer in Brighton, therefore I was determined to enjoy NUTs weekender even more than usual. As regular readers of this blog probably know, it is not the 'Mod' part that I love the most about those weekenders. Having literally no interest in scooters, I usually skip daytime events at the seafront. In the evenings, not being a fan of soul music, I hardly ever pop in to the main room at Komedia, which is usually full of ageing blokes with Paul Weller haircuts. 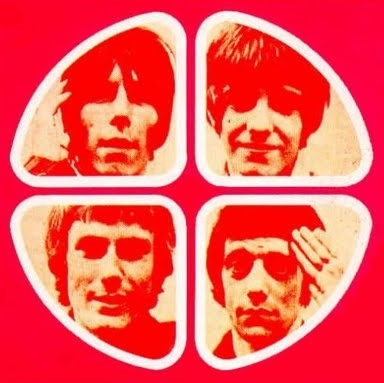 No, to me, the back room at the Studio Bar at Komedia is where the action is - a place where on Saturday and Sunday you can hear some of the best 60's Freakbeat, Garage and Psychedelia. I always talk about NUTs events with a mixture of love and hate. 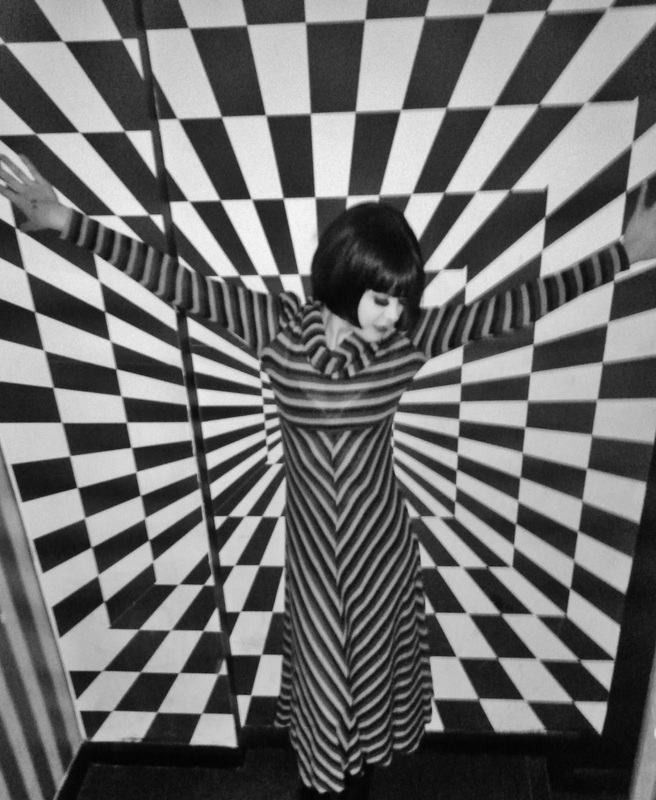 I love dancing to my favourite obscure Psych tracks in clubs. 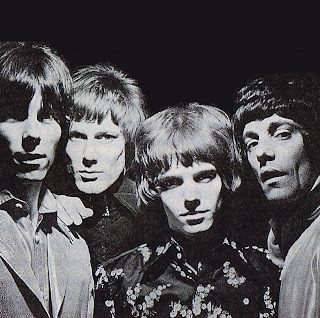 Moustrap (Fuzz For Freaks) in London - bi-monthly clubnight organised by NUTs is the best 60's psych night in the country and I discovered some of my favourite tracks there. 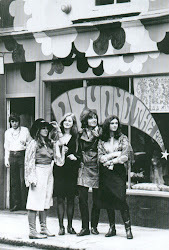 But, every now and then, I find some things about NUTs slightly annoying, like for example, unnecessarily strict djing rules - original 60's 7-inches only and no re-issues/compilations allowed. Ok, I understand why they wouldn't want dj's to use LP's - there is a discernible difference in sound (although I wouldn't say it sounds worse, but maybe it's just me). But why no re-issues? Does it really take away so much authenticity? DJ's are also afraid of playing too obvious or too popular tracks. They don't seem to understand that expensive and rare does not equal the best. Or even good for that matter. Also, having seen some of the dj's multiple times before, I can say that the sets of some of them have become a little too predictable - every time I see them they play the same records. Of course, if you only buy 7-inches priced £500+, how many new records per year are you gonna get? Not too many probably.... But then again maybe I am not the best person to talk about these things. 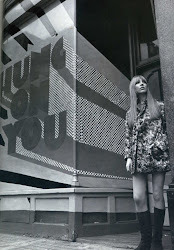 You see, I belong to a very rare breed - passionate 60's music fan NOT interested in vinyl. I don't mind it, but I never saw it as a superior format. If dj's at The Mousetrap were playing the same tracks they always play, but from their Ipod's instead of vinyl, I'd still come. I love the tune, not the format (I'll probably get banned for saying this, though). 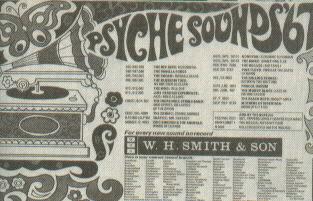 Anyway, on Brighton weekenders, Sundays are traditionally the best for psychedelia. This year, I would say it was Saturday. Sunday turned out to be a bit of an anticlimax. 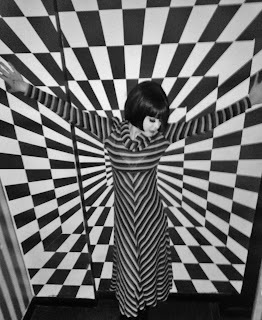 Still, I had a great time that weekend, and I certainly encourage anybody who's into Psych/Garage and, most of all, Soul to come and check out Brighton Mod Weekender in 2014. 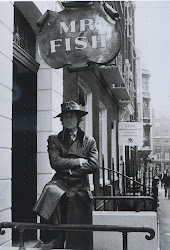 I stopped taking photos on my nights out long time ago, so here, I am using some from New Untouchables website. 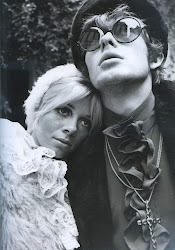 The photos were all taken by Carlo Sesto. That's me on the right.. I'll end with some photos of my now ex-girlfriend in her amazing original Biba dress..
Also, I heard this great tune for the first time at this year's weekender - 'Kicks And Chicks' by The Zipps - I've been listening to it on repeat ever since..
Today, The Herd are mostly known as 'Peter Frampton's first band', which is a shame, because they certainly deserve to be remembered for more than that. 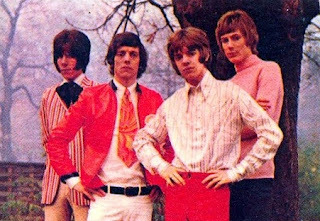 Not only they were one of the best British Pop-Psych acts of 1967-1968, but they also were one of the best dressed bands of that time. 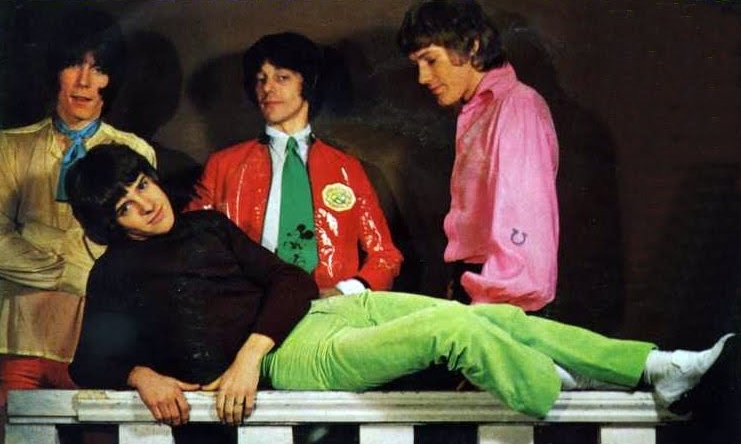 Psychedelic/Peacock style was not an easy look to pull off and there was a thin line between 'flamboyant cool' and plain ridiculous (If you ever saw photos of The Move circa 1967, you know what I mean). 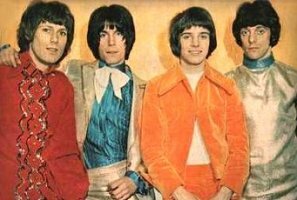 The Herd, however always looked immaculate - especially keyboard player Andy Bown, who wore Regency jackets and had a great Mod haircut. 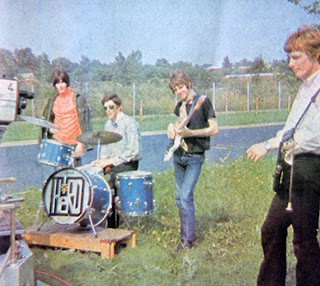 The Herd in 1967. I love Andy Bown's red, double-breasted Regency jacket and Peter Frampton's blue velvet top/silver belt buckle combo.. 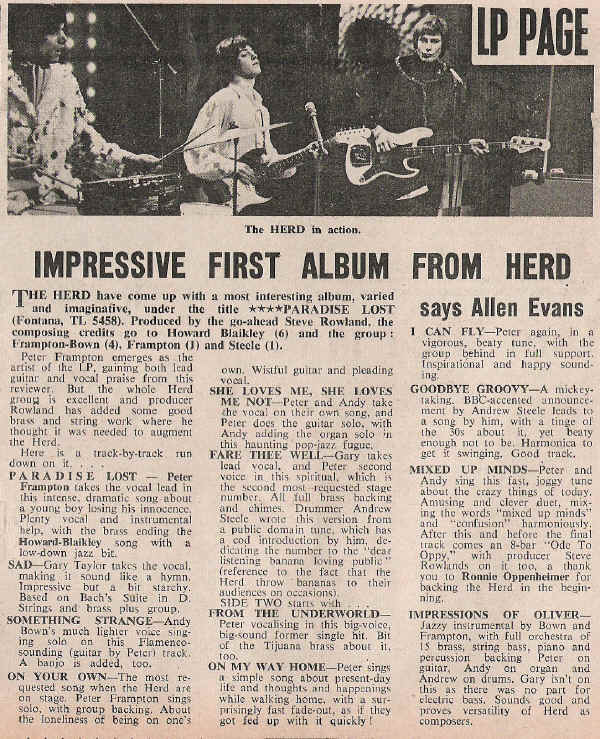 The Herd, early 1968. 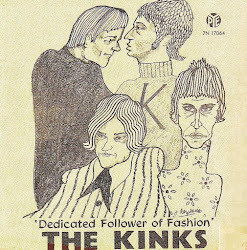 Again, great Regency jackets worn by Peter Frampton (bottom left) and Andy Bown (bottom right). The Herd formed in 1965 from the ashes of two Kent groups The Preachers and Moon's Train. 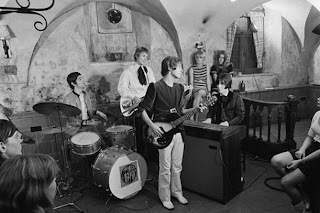 Fifteen year-old Peter Frampton (who incidentally, was a former schoolfriend of David Bowie) was already making a name for himself as one of the most talented young guitarists in London area. The Herd were taken under the wing of Rolling Stone Bill Wyman, who once used to be in the same band as The Herd's drummer Tony Chapman. 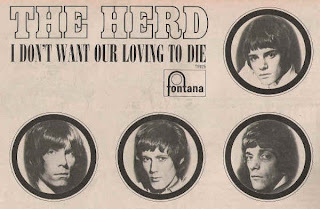 Wyman recommended The Herd to Parlophone. They recorded Jagger/Richards composition 'So Much In Love' and covered 'He Was Really Sayin' Something' by The Velvelettes. 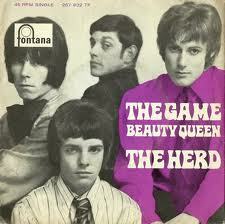 Both singles flopped and The Herd were dropped by Parlophone and deserted by their manager Billy Gaff. 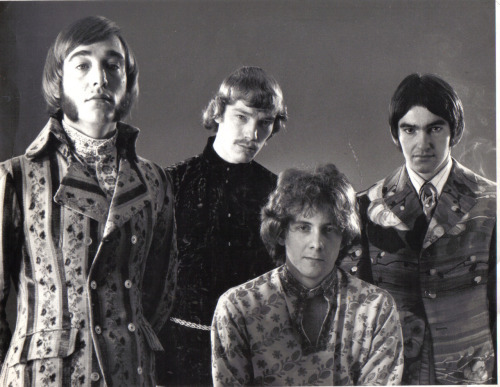 Soon after Tony Chapman and singer Terry Clark also quit. 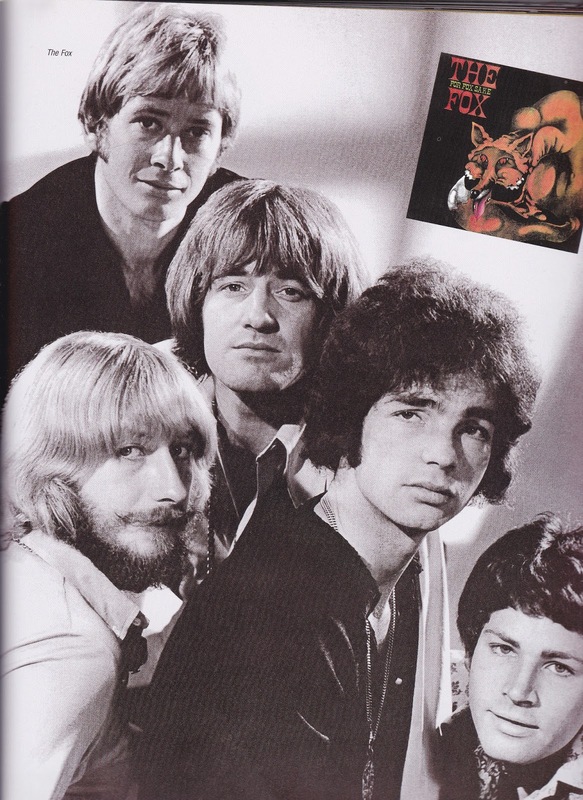 That could have been the end of The Herd, but the band was taken over by managers Alan Howard and Ken Blaikley who saw potential in Peter Frampton. 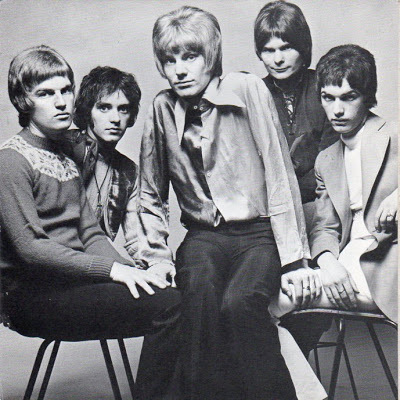 They promoted him to a lead vocalist and they moved bass player Andy Bown to organ, with Gary Taylor taking over responsibilities of a bassist. 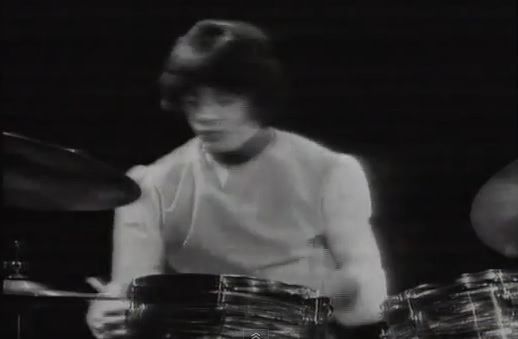 That line-up was completed by new drummer Andrew Steele. 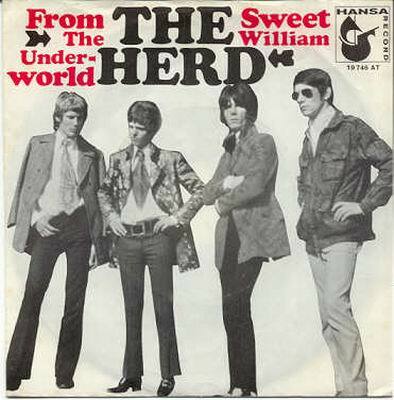 The Herd signed to Fontana, and in 1967 released their first single for a new label. titled 'I Can Fly'. 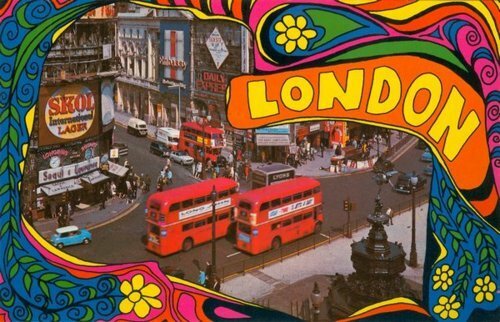 It is a great piece of psychedelic pop, but for some bizarre reason, it barely mustered the charts in Britain (it was a big hit in Germany, though). After 'I Can Fly' flopped, Howard and Blaikley encouraged The Herd to play more ambitious material. 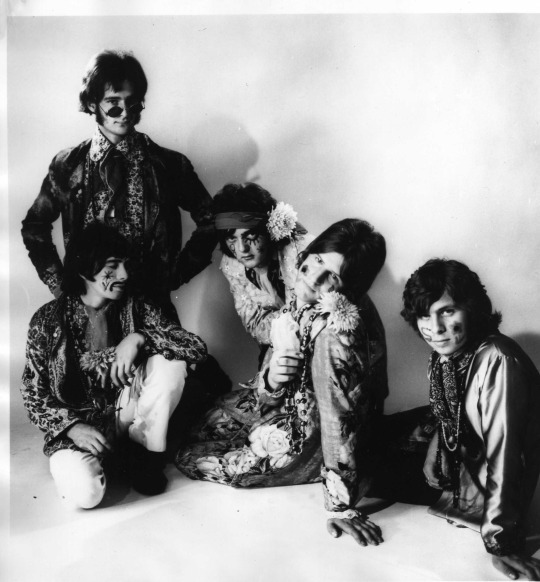 Their next single, 'From The Underworld' was a psychedelic adaptation of Jacques Offenbach's operetta Orpheus In The Underworld. 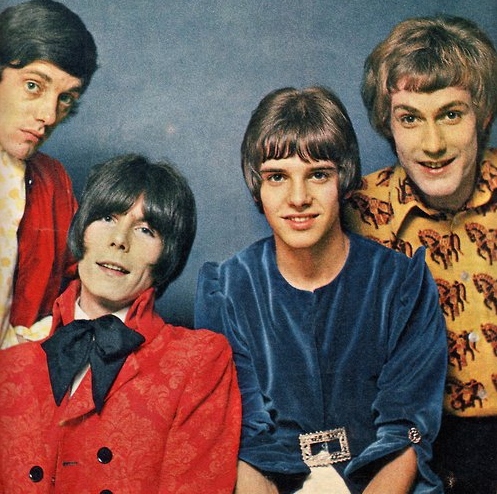 'From The Underworld' was hit, reaching number six in November 1967. 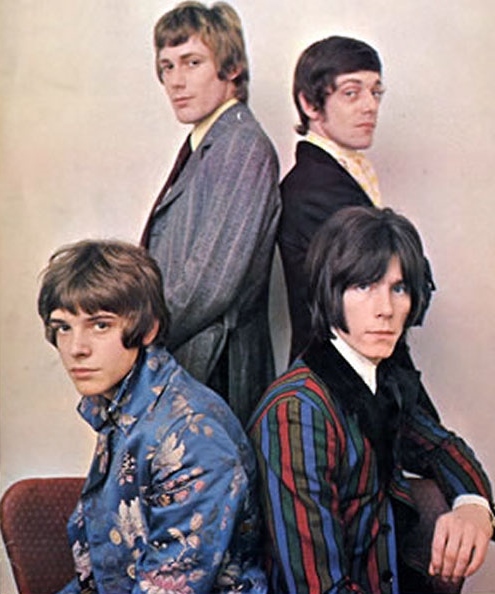 Their next single,'Paradise Lost' - an adaptation of John Milton's most famous poem - was also a hit in January 1968. Height of psychedelic cool - Peter Frampton and Gary Taylor, early 1968. 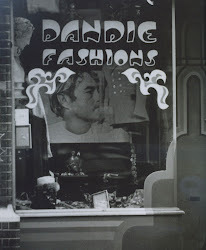 The success of 'From The Underworld' and 'Paradise Lost' elevated The Herd to stardom. 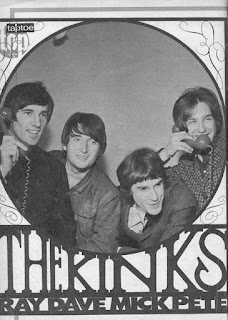 They toured with The Kinks and The Who and were photographed for hip magazines such as Rave. 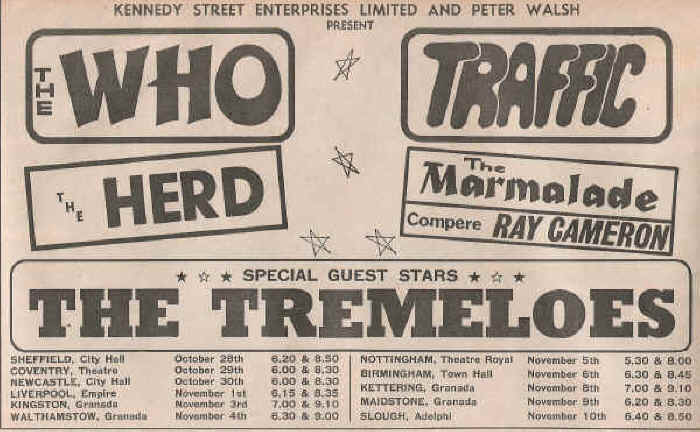 Ad for October/November 1967 package tour of The Who, Traffic, The Herd, Marmalade and The Tremeloes. 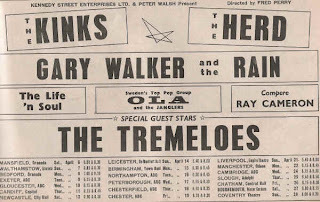 Another package tour in April 1968, this time with The Kinks and Gary Walker. 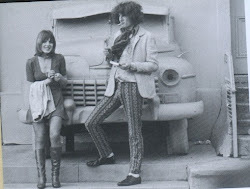 I love this photo from late 1967.. 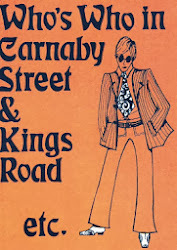 The Herd sporting the newest Carnaby Street fashions. 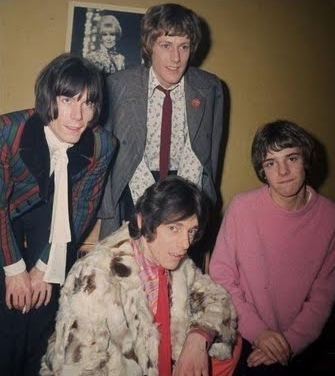 I like Andrew Steele's fur coat. Not sure about that red PVC jacket, though. 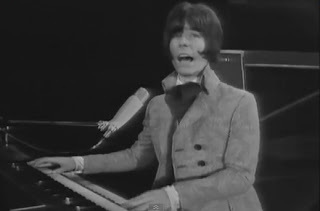 I love Andy Bown's stripy blazer/black ribbon combo. Meanwhile, Andrew Steele is sticking with PVC..
Peter Frampton's good looks did not go unnoticed - Rave magazine declared him 'The Face Of 1968' giving him first taste of life as a teen idol. 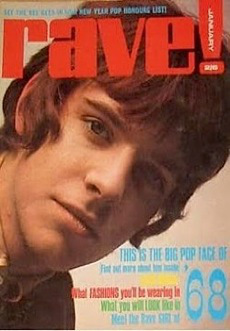 Peter Frampton on the cover of Rave, January 1968. In April 1968, The Herd released straightforward pop single 'I Don't Want Our Lovin' To Die' which turned out to be their most successful recording, reaching number 5 in charts. 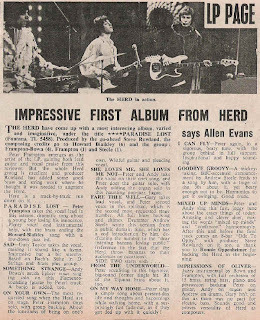 Press ad for 'I Don't Want Our Lovin' To Die', April 1968. Howard and Blaikley were forcing The Herd to record melodic pop songs, which did not sit well with Frampton and Bown, who wanted to move more into heavier sounds. 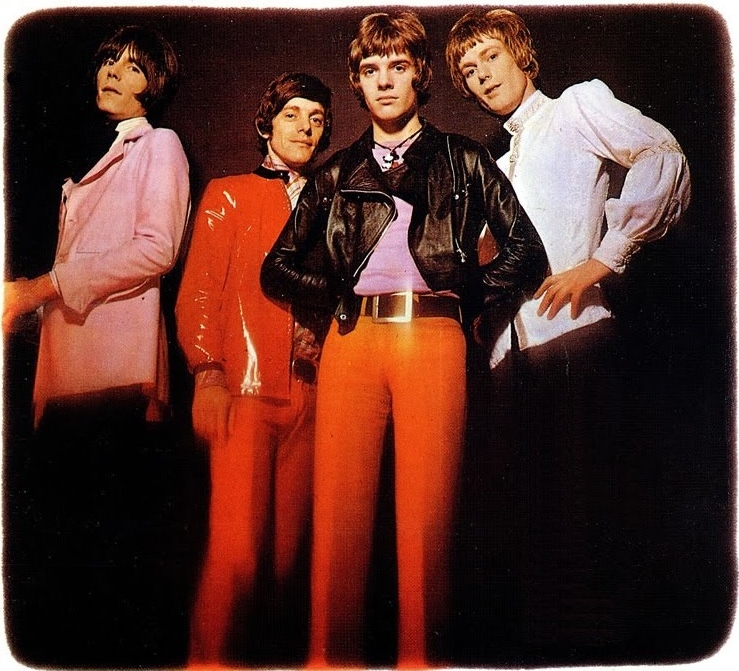 Nevertheless, Frampton and Bown wrote few psych/pop songs together, including a single 'Sunshine Cottage'. 1968. 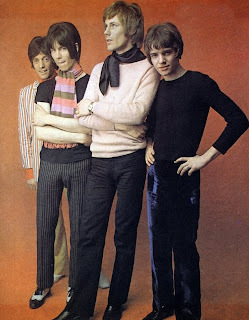 More great Carnaby clobber..
Strangely enough, Frampton and Bown ended up giving away one of their best compositions - 'I Lied To Auntie May' - which was recorded by their mates, London group called The Neat Change. 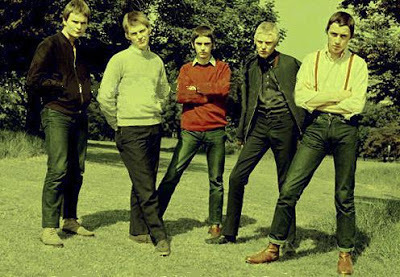 They were quite an interesting band - arguably first ever Skinhead band, The Neat Change performed soul material in Soho's Mod clubs. 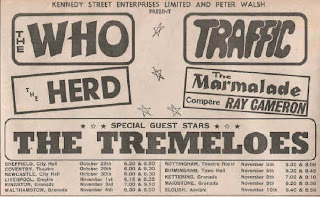 Apparently their sound was not dissimilar to The Action (with whom they often shared the bill at The Marquee). 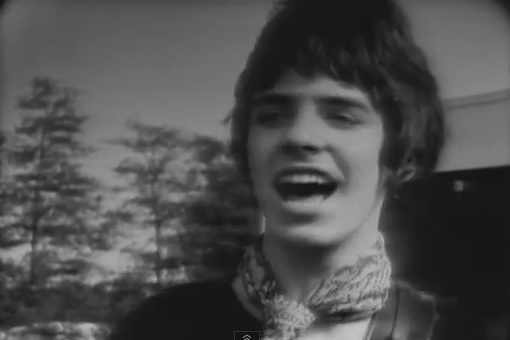 I say 'apparently' because no recording of The Neat Change from that era exist. 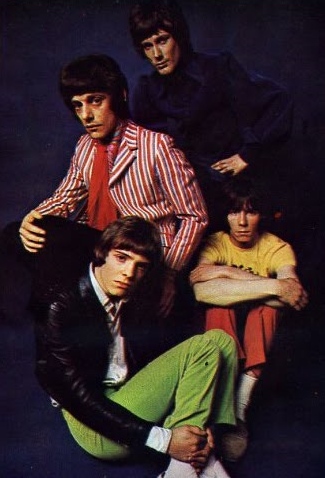 In 1968, following the advice of their management, The Neat Change ditched Skinhead look, Soul sound and 'went psychedelic'. 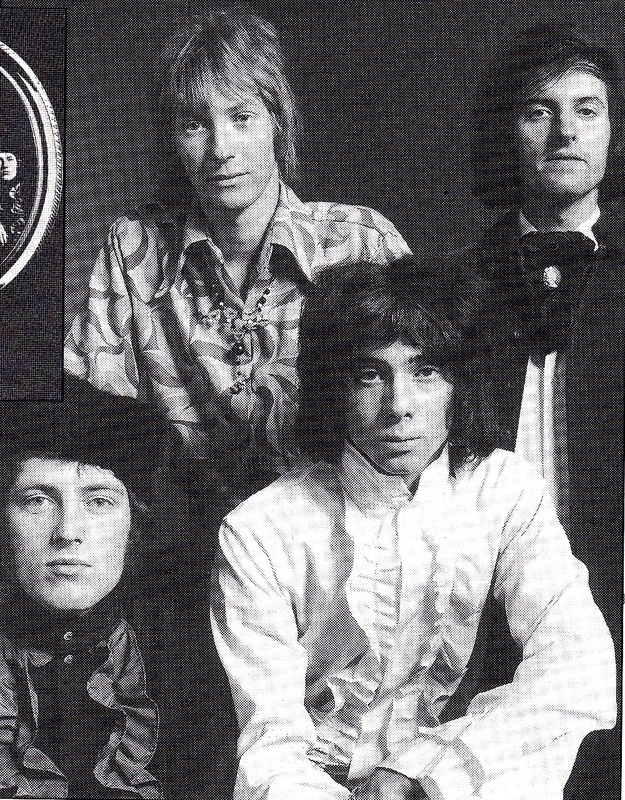 They recorded Frampton and Bown's 'I Lied To Auntie May' - a brilliant piece of melodic pop-psych. 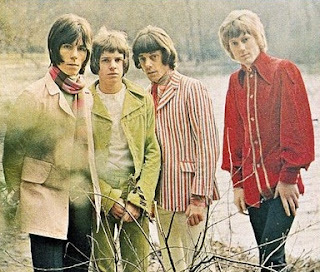 After 'Sunshine Cottage' flopped, Peter Frampton grew more and more disillusioned with The Herd. He hated his new heartthrob image and wanted to be appreciated as a guitarist. In the late 1968, he briefly considered accepting an invitation to join Small Faces on guitar. Although that did not happen, Frampton and Small Faces lead singer Steve Marriott formed a friendship which soon prompted them to quit their respective bands and start heavy blues-rock outfit Humble Pie in 1969. The Herd briefly tried to continue without Frampton, with Bown on vocals. They recorded single 'The Game' in 1969. 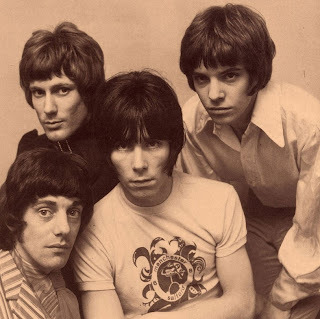 It was not a successful record (artistically or commercially), and the band split up soon after. Frampton was still on a sleeve photo of 'The Game' even though he was no longer in the band. 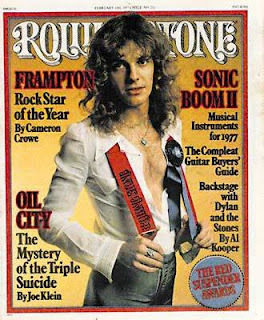 We all know what happened to Frampton - few successful albums with Humble Pie, initially semi-successful solo career and finally, superstardom in America after Frampton Comes Alive unexpectedly sold fifteen million copies in 1976. Terry Rawlings, Then, Now and Rare: British Beat 1960-1969.